Kayla Morrow cuts off Becky Costley's hair. 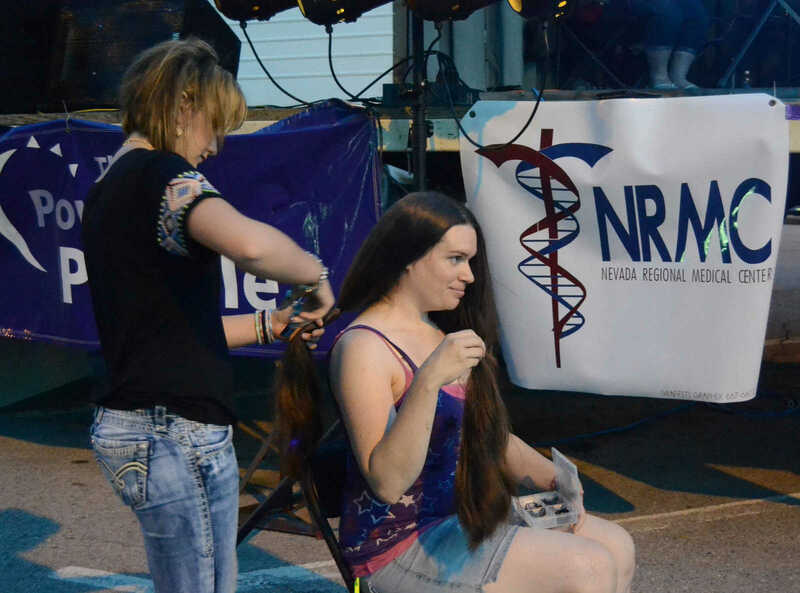 Costley donated her hair to Locks of Love during the Relay for Life on Friday. Kayla Morrow cuts off Carol Chesnut's hair. 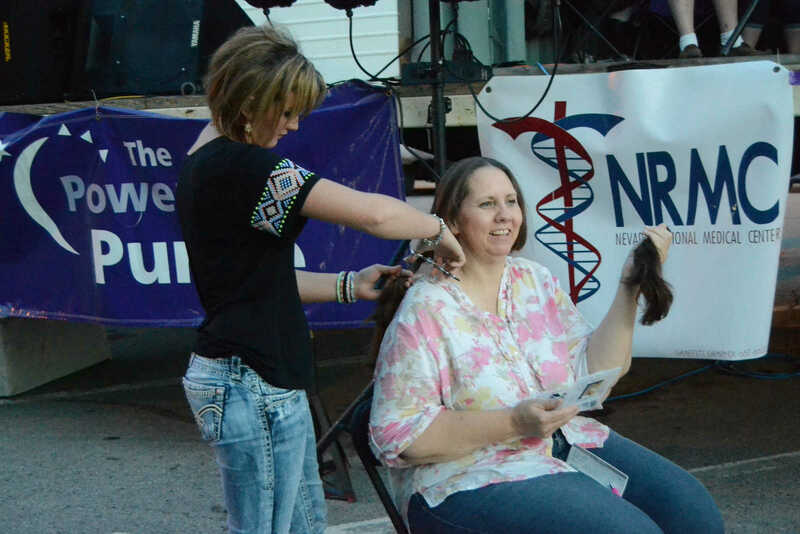 Chesnut donated her hair to Locks of Love during the Relay for Life on Friday. Kayla Morrow cuts off Emma Young's hair. 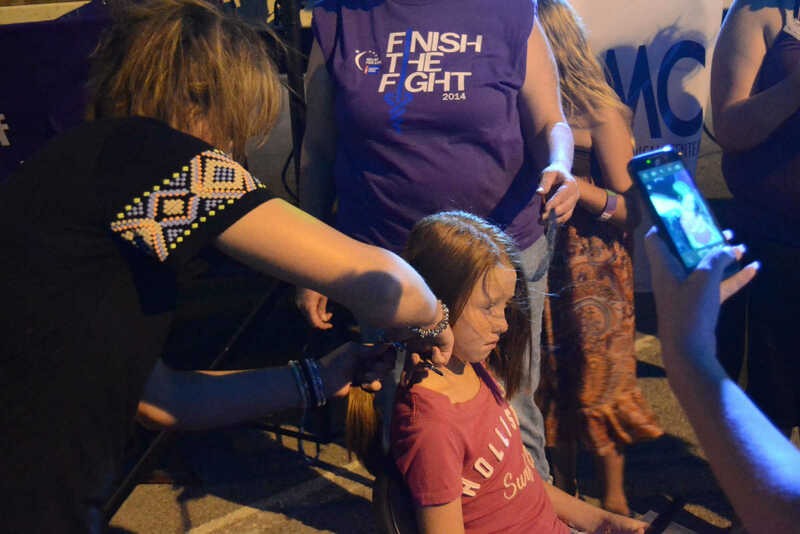 Young donated her hair to Locks of Love during the Relay for Life on Friday. 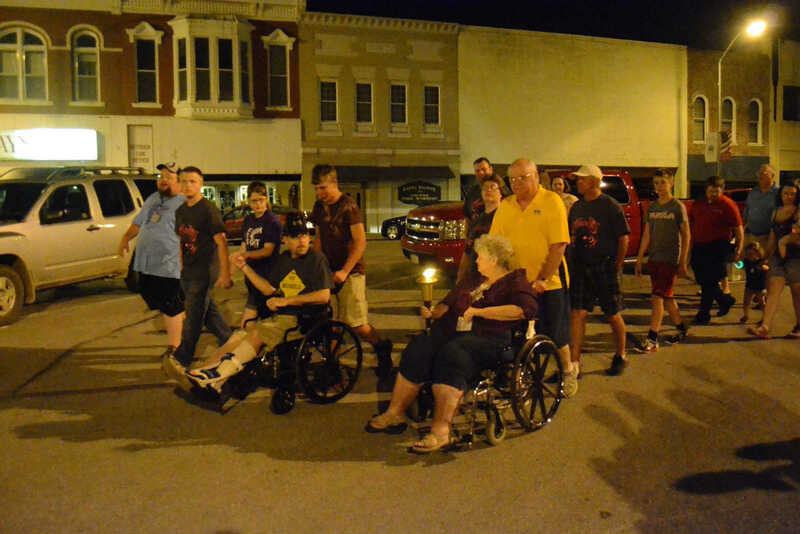 The Hammontree family open the luminaria ceremony with a tourch walk around the Square during Relay for Life on Friday. 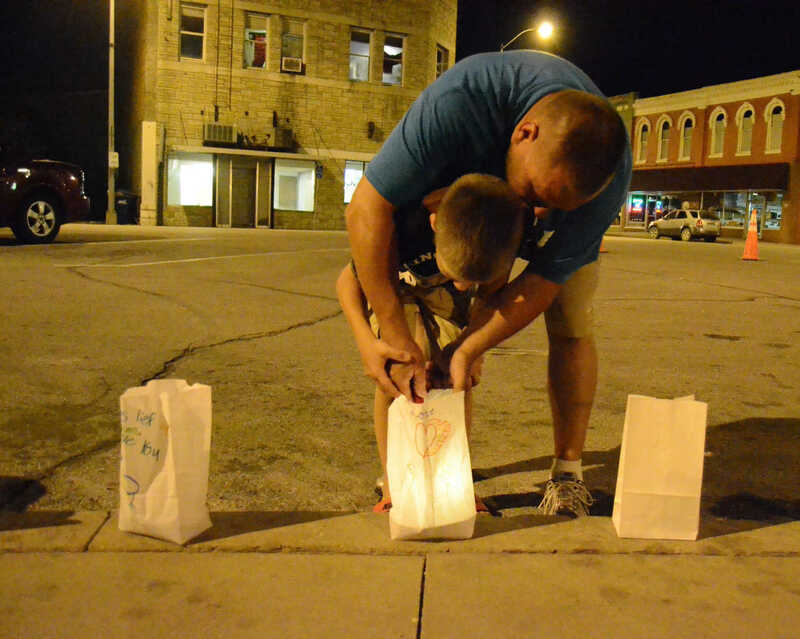 Hannes and his sone Jesse Trytsman light a candle during the luminaria ceremony at the Relay for Life on Friday.